Powerful Parallels Between Pearl Harbor, 9/11 and the Pre-Trib Rapture | Left Behind or Led Astray? On December 7, 1941, 75 years ago today, the United States was bombed at Pearl Harbor resulting in the death of nearly 2,500 people. In the attack of Pearl Harbor, the Japanese successfully crippled the U.S. Pacific Fleet, after sinking five of eight U.S. battleships and devastating the U.S. Air force in the area. Pearl Harbor has gone down as one of the most catastrophic surprise attacks in human history. When Japan attacked Pearl Harbor on that fateful December day, the U.S. forces were so unprepared for what transpired that when the Japanese were done, 18 Navy vessels were sunk, 323 aircraft were damaged or destroyed, 2,390 people dead and 1,178 wounded. The greatest tragedy was that thousands of lives were needlessly lost because they were not forewarned. Husband E. Kimmel, the Commander-in-Chief of the Pacific Fleet and Army Lieutenant General Walter C. Short were relieved of command and held responsible. Many would point their fingers at Washington and books would be written seeking to document that the United States government was aware of the attack but failed to warn the Army and Navy. However, there is another surprise attack on its way. This attack will not be Japan surprising America, but the forces of Satan surprising the church. We have been forewarned in God’s Holy Word so that we need not experience a spiritual Pearl Harbor. While the Japanese surprise attack on Pearly Harbor lasted two hours, Satan’s surprise attack on the church will last for 42 months. There are striking and undeniable parallels between the attacks on Pearl Harbor on December 7, 1941 and New York City on September 11, 2001. 60 years after Pearl Harbor the U.S. suffered another attack on American soil which resulted in the death of nearly 3,000 people! When considering some of the eerie parallels between the carnage of Pearl Harbor and the devastation of September 11, I could not help but notice similar parallels between Pearl Harbor, September 11 and what will likely be the fallout from the unbiblical Pre-Trib rapture theory when the Antichrist arises! Prior to the Japanese attack on Pearl Harbor, there was ample intelligence, on several levels, signifying that the Japanese were ready to attack. These warnings were either ignored or not properly discerned. A week before the attack on Pearl Harbor took place, U.S. intelligence lost track of Japanese aircraft carriers and failed to locate them until it was too late. Add to this the fact that Pearl Harbor victims were unprepared because army radar operators failed to share their knowledge with commanders at Pearl Harbor that that they saw incoming Japanese kamikaze planes. In a similar way, terrorists warned for several years that they would murder thousands of people on American soil years before 9/11. Nevertheless, many in the Intelligence community failed to take heed to such warnings. Even though Jesus has clearly given the church marching orders and prepared us for the coming great tribulation period, many spiritual leaders are failing to warn the church, even though the storm clouds are amassing before our very eyes. Similarly, those who believe that the book of Revelation is already fulfilled (Preterists), and those who believe the church will be whisked away before the Antichrist emerges in a pre-trib rapture, both have withheld the biblical intelligence and pertinent eschatological revelation provided by Jesus regarding enduring the tribulation period in both the Olivet Discourse and the Book of Revelation. Many military analysts have stated that though the intelligence was there to see that both Pearl Harbor and 9/11 were on their way, it has been said that it was hard to “connect the dots.” Though this is not the case with regard to Jesus’ teaching about the end times. While the finer points of prophecy can be demanding, Jesus’ straight forward teaching – which was understood by the consensus of the early church fathers on the issue – is that the church would not only face Antichrist but that Jesus’ words were specifically intended to help the church endure the tribulation period. Jesus has given the church far more time than the U.S. had to prepare for both Pearl Harbor and 9/11. We have been sitting on His warnings for nearly 2,000 years. Yet, tragically, most of the church has ignored His warnings. Sadly, the church has been clearly warned by the Lord Jesus Christ as to what is coming upon Christians in the tribulation, yet those who are responsible for warning the church about the coming tribulation have been AWOL when it comes to warning the church of its greatest test! The Japanese bombed Pearl Harbor at 7:00 a.m. while American defenses were resting. The church is asleep and many of her leaders have been derelict of duty! Another sad parallel between Pearl Harbor, 9/11 and the coming tribulation period, besides not being ready for a sneak attack, is that the U.S. underestimated her enemies and thought the enemy was incapable of launching such a deadly attack on American soil. This was the case with both the Japanese and the 9/11 terrorists. Despite the fact that Osama Bin Laden had publicly announced that he would attack the U.S. on her own soil, many in the Intelligence community failed to take his threats seriously and believed that he lacked the ability to launch a significant attack. Especially one that would result in the death of nearly 3,000 victims and threaten the entire U.S. economy! “[H]aving been taught and convinced of an imminent pretribulation Rapture, the consequences will be calamitous. The church will enter that period unprepared, spiritually naked, vulnerable, and ripe for the Antichrist’s deception. The psychological implications will be disastrous. A questioning of the trustworthiness of the Word of God will naturally follow. It will be a spiritual catastrophe—a Pearl Harbor of incalculable proportions—a satanically planned sneak attack…It is impossible to effectively train an army for major battle if the soldiers are told they will never have to participate. Reservist who see little likelihood that they will ever see combat will never prepare like those knowing they may soon be sent to the front lines.” (Marvin Rosenthal, The Pre-Wrath Rapture of the Church, Thomas Nelson Publishers: Nashville, 1990, p. 281-282). The Book of Revelation warns that the Antichrist will “make war with the saints” (Revelation 13:5). 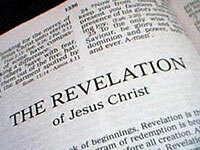 Jesus identifies the “saints” in Revelation with His “bride,” the church (Revelation 19:7-9). In the end, the U.S. was galvanized after both Pearl Harbor and 9/11. They defeated the Nazi’s and the Japanese in WWII, and with enough resolve will do the same with Islamic terrorism on U.S. soil. My dad, who just turned 90 this year, was heading to the Philippines as an army paratrooper just before the U.S. dropped atom bombs on the Japanese. Adm. Mike Mullen, chief of naval operations, stated that the Japanese were poised to take much more than they had. In light of His Coming and of His coming Kingdom, may we be faithful to Him and to all those He has called us to minister to by His glorious grace! Even so come Lord Jesus!